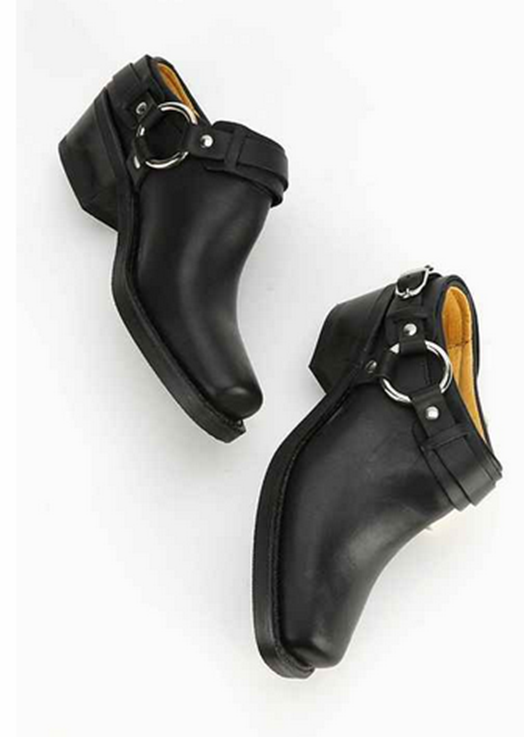 Today's So Shoe Me is the Round Harness Heeled Mule by Frye, $228, available at Urban Outfitters. Shape up your footwear fashion with the next big silhouette: a luxe leather mule. Heavy metal moto details and a smooth leather upper create the perfect pre-fall shoe that can comfortably go from day-to-night. The square toe heel adds a retro vibe to this classic shape and the black heel adds all-day comfort. Pair these everyday mules with a 90s sunflower slip dress and straw fedora for a sweet festival style.